Bao Yun Clinches ’16 US Open Masters; Battle Underway for Runner-Up: There’s still one more round to play in the 2016 US Open Masters but the name of this year’s winner can already be inscribed: Bao Yun 7D. Bao defeated Song Zirui 1P Friday night by 3.5 points to build an unassailable 8-0 lead and clinch the 2016 title. The action now moves to the battle for second place. 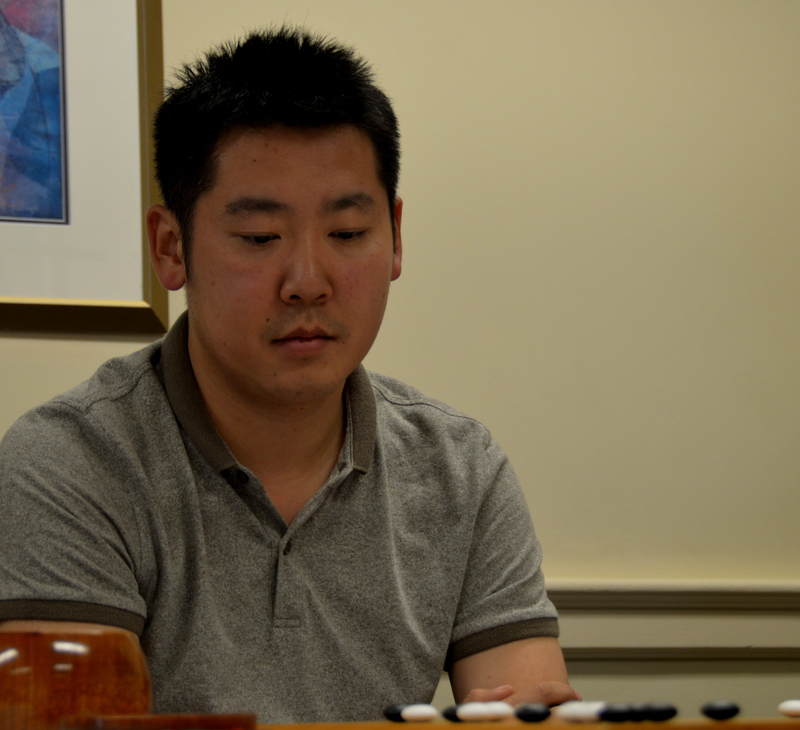 Zhang Hanchen will have to beat Ito Kenryo to take second place; if Ito wins, tiebreaks will determine the winner. 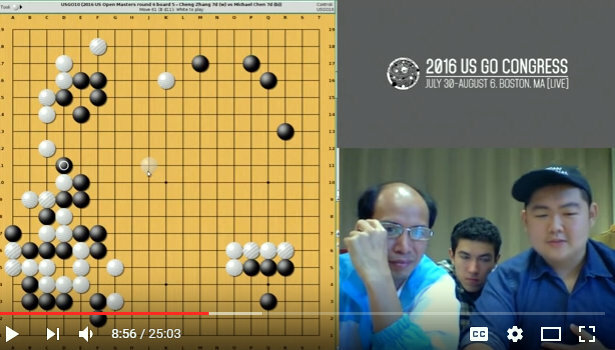 In other Round 8 action, Andy Liu let certain victory against Zhang Hanchen slip away when he neglected to secure the life of a group in the endgame on Board 2 (click here for an sgf of the commentary by Feng Yun 9P and Yilun Yang 7P); Ito Kenryo 1P beat Ryan Li by half a point on Board 3, Eric Lui 1P defeated Sun Shuo 7d by 4.5 points on Board 4, Jian Zhongfan 7d beat Zhang Siyuan 7d by a half-point on 5 and Zhaonian Chen 7d won by 8.5 points over Albert Yen 7d on Board 6. Click here for the 2016 Masters Division crossgrid, with results and top-board game records. Click here for the US Open crosstab, updated through Round 5. 10a: US Open Masters Round 9 (final): Live pro commentary on the AGA YouTube Channel. 10:30a: US Open Masters Round 9: Live pro commentary on KGS. PLUS: Check all the pro game commentaries from the week here. Exactly 100 players ranging from the low 27 kyu to 7d decided they did not need a day off on Wednesday 8/3 — “because rest is for babies” — and gathered in the main playing room for the annual Diehard Tournament. 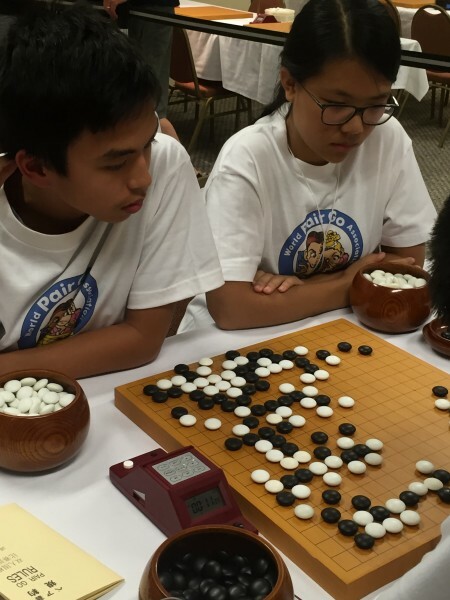 Both Ted Lin 3k and Alexander Foti 4k were undefeated with four wins. 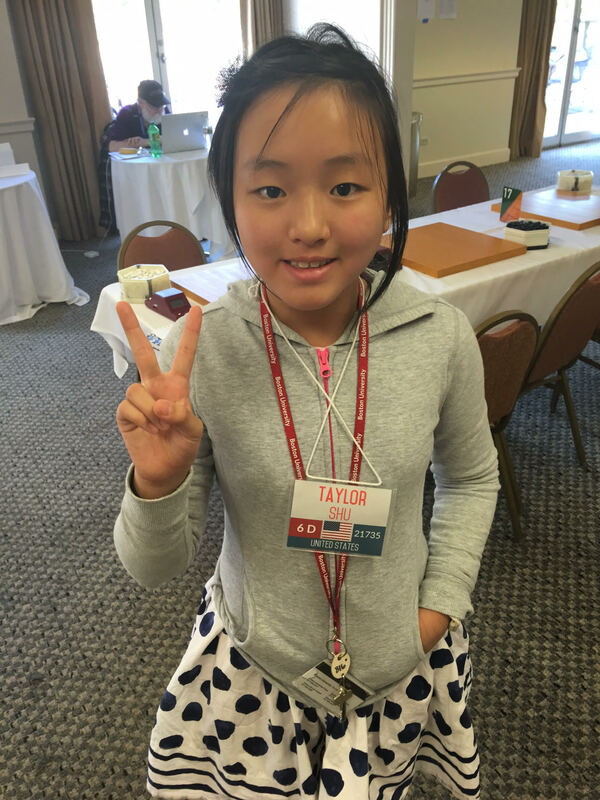 Click here for a Facebook album of all this year’s pairs, and read here for the tournament story and results to find out who will be representing North America in the International Pair Go Championships in Japan! Visit live.gocongress.org for final tournament crosstabs. Chunlin Xu 7k won all four games to be the only undefeated player in the tournament. Visit live.gocongress.org for final tournament crosstabs. Players are on their own to find and complete their playoff games, and both the dan and kyu section playoffs have not yet reached the semi-final round. With just one more day left of play, will they complete before the end of the Go Congress? Will we be left without lightning champions? Stay tuned to find out! As you might imagine, there’s a lot of behind-the-scenes work that goes into broadcasting games from the annual US Go Congress, whether on KGS, Pandanet, YouTube or Twitch. Most of the time, everything works, and go fans around the world can follow the top-board action from the comfort of their own homes or at work. But sometimes things go sideways. Like Thursday morning. With just minutes to go before the sixth round in the US Open Masters was scheduled to begin, and with Bao Yun and Ito Kenryo — the last two undefeated players left — seated at Board 1, the internet connection for the game recorder’s computers and the livestream feed went dead. The E-Journal team quickly scrambled to troubleshoot the problem, find workarounds and implement backup plans. The BU tech guys were called in, cables and adapters were swapped and software settings were rapidly reconfigured. As always, the priority was to ensure no disruption or distraction for the players while working to bring the best possible broadcast to viewers on the various platforms. At home, viewers probably didn’t even notice the 2-minute delay in the start of the round, which otherwise went off without a hitch. The way we like it. The US Open Masters Division is the tournament for the best of the best, with the biggest prizes and most intense schedule. 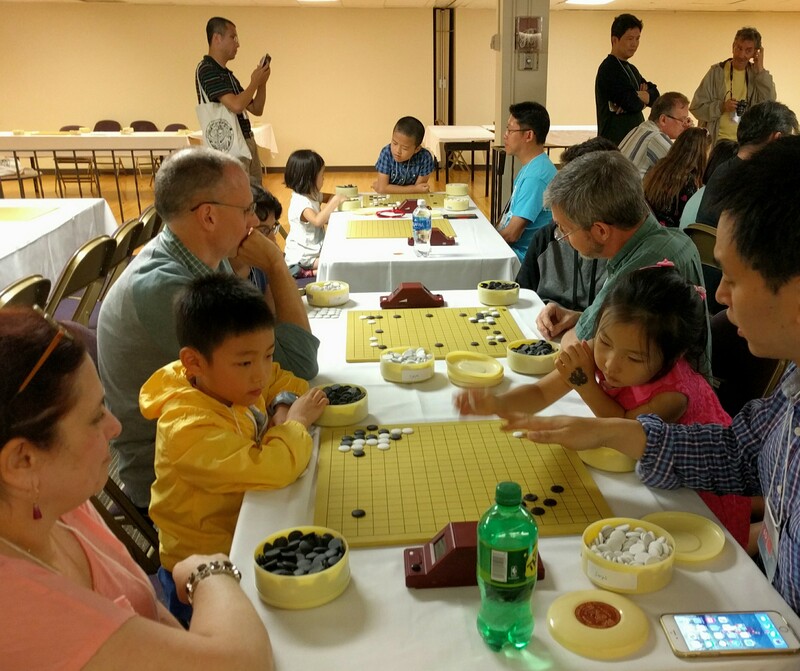 The invitational event, with 44 top players this year, is a 9-round event at the US Go Congress, with 6 rounds played at the same time as the US Open and an additional three rounds played Sunday, Tuesday and Friday nights. The new format replaced the 4-round North American Masters Tournament (NAMT) and the 4-round Strong Players Open in 2014. Eligibility in the Masters Division is limited to professionals, 7 Dan or stronger players and NAMT qualifiers. The top prize will be $5000 for first place, plus a $2000 for the top-placing North American Masters Tournament qualifier. Click here for the 2016 Masters Division cro ssgrid, with results and top-board game records. 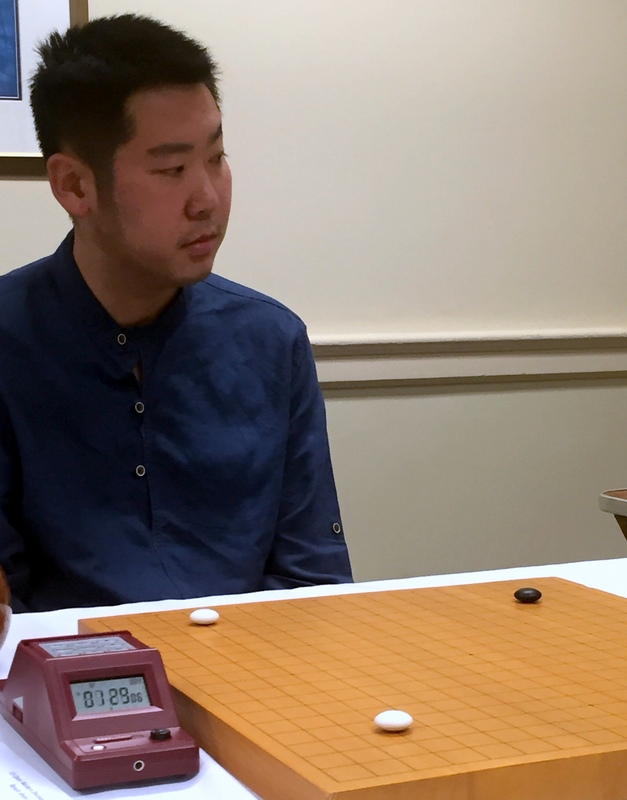 Bao the One to Beat: Yun Bao 7d prevailed over Kenryo Ito 1P Thursday morning in the sixth round of the US Open Masters, giving the “Blindfold Go” master a 6-0 record with just three rounds to go. The game was hard-fought by both players, with Ito in a dramatic byo-yomi that had viewers on the edge of their seats. Click here for the game record and here for the livestream broadcast on the AGA’s YouTube channel. Bao has beaten the players with 5-1 records — Andy Liu, Hanchen Zhang, and Eric Lui — so unless something unusual happens in the next couple of rounds, he’s the odds-on favorite to win the 2016 US Open Masters title. Of course, there remain strong opponents who will try to block Bao in the next three rounds; see below for the schedule. 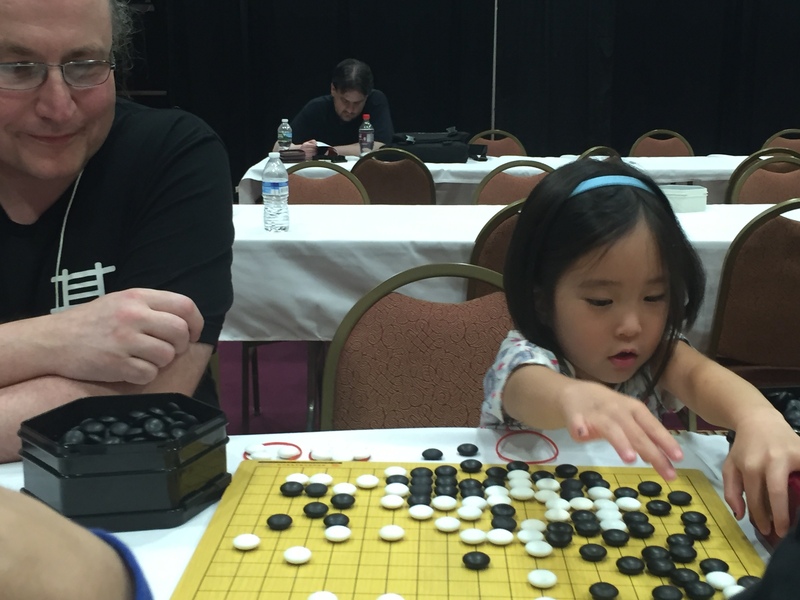 Complete US Open Masters results through Round 6 and top-board game records here. Click here for the US Open crosstab, updated through Round 4. AlphaGo Keynote Video Posted: Aja Huang and Fan Hui’s AlphaGo keynote speech has now been posted on the AGA’s YouTube channel. The youth room has been abuzz with tournaments and impromptu games of relay go in the basement all week, presided over by Devin Fraze, Youth Room Coordinator. Table winners in the Lightning: Albert Yen 7d, Young He 5d, Jessica Wu 3d, Kilin Tang 7k, and a tie between Brian Ye 19k and Stephanie Tan 22k. Table winners in the 9×9: Kilin Tang 7k, Sarah Crites 10k, and Billy Ganbaatar 14k. 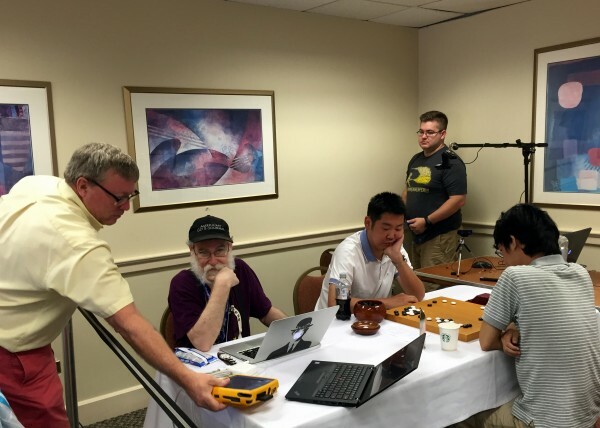 Table winners in the 13×13: Tony Xie 6d, Patrick Zhao 2k, and Gabriello Adler-Abramo. Taylor Shu 6d (right) defeated Gabriella Su 6d to clinch the championship in the second annual Under 16 Girls Championship Tournament. Gabriella took second place, while Melissa Cao 3d and Jessica Li 3d placed third and fourth respectively. Evening League: Latest updates here. - report by Karoline Li, Congress Tournament Liaison; photos by Chris Garlock except for Under 16 Girls Tournament (bottom right) photo by Ted Terpstra. 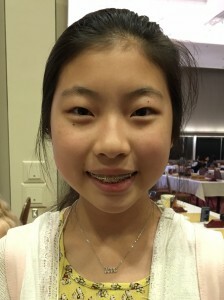 Michael Chen 8d and Melissa Cao 4d won the top table at Youth Adult Pair Go on Tuesday at the Go Congress. The event was a big hit with both young and old, drawing 56 players to the Youth Room. Seven tables competed, with first and second place at each table winning prizes, including go books donated by several publishers, Hikaru no Go manga, and several new sets of various anime series donated by Winston Jen. 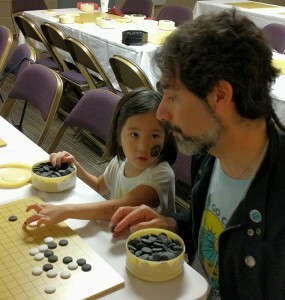 Devin Fraze has taken over in the Youth Room this year, allowing longtime organizer Paul Barchilon to actually play in the event, pictured below with his partner, 5 year old Tselmuun Ganbaatar (who was violating all known standards of Pair Go rules and etiquette by telling her partner how it important it was for him to play where she told him). Every table saw exciting games, many with giggling kids – and astonished adults as the kids outplayed everyone nonetheless. Other events in the Youth Room included lightning go on Sunday, 9×9 and 13×13 tourneys on Monday, and relay go on Thursday. One youngster said he enjoyed relay go the most, because he “really likes to run.” Fraze, whose day job is teaching fifth grade, was clearly up to the challenge of managing so many kids at once. 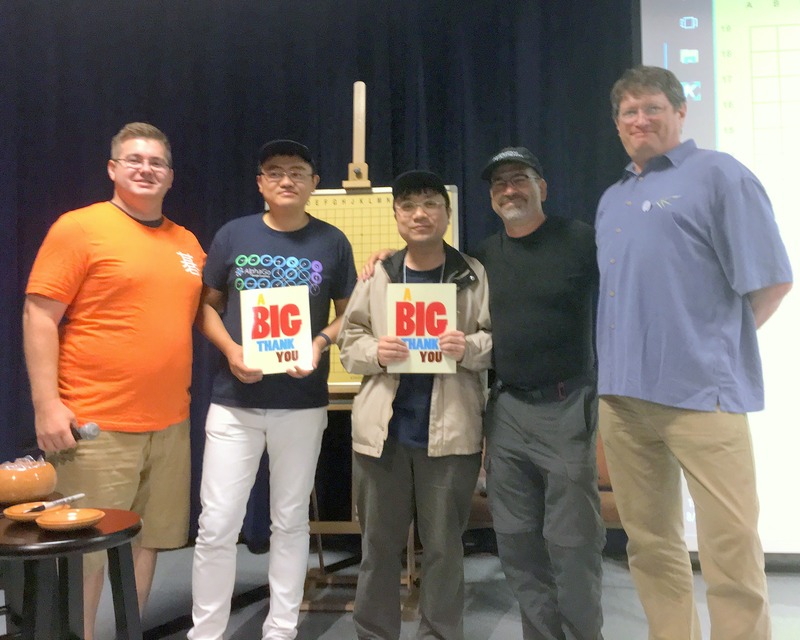 Winners Report: Table one: 1st place: Michael Chen 8d and Melissa Cao 4d, 2nd place: Daniel Liu 6d and Jinli Wang 6d; Table two: 1st place: Frederick Bao 3d and Sai Sun 5d, 2nd place: Kelly Liu 2d and Yunbo Yi 6d; Table three: 1st place: Yungyan Wu 1k and Tao Wu 1d; Table four: 1st place: Owen Sedgwick 12k and Irene Sha 6d; Table five: 1st place: Liya Luk 9k and Allen Noe 1k; Table six 1st place: Sarah Crites 10k and Bob Crites 7k; Table seven: 1st place Zoey Zhang 30k and Yunzhe Zhang 6d. 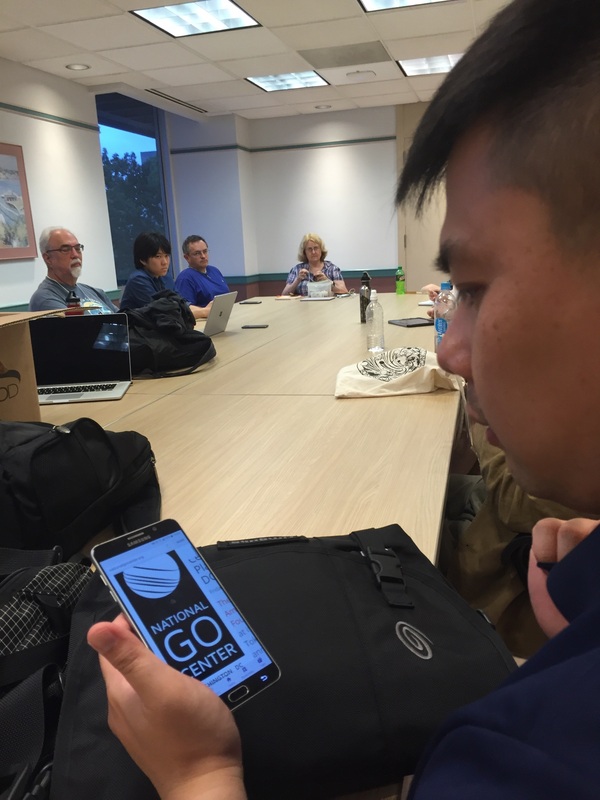 AlphaGo has brought go global attention but it’s organizations like the American Go Association that must now figure out how best to capitalize on the new interest in the game. Anyone with questions about the AGA, or who would like to find out more about how you can get involved in promoting go, should plan to attend at least one of the AGA’s organizational meetings on Friday and Saturday at the US Go Congress. On Friday at 2p, AGA leadership will meet with strong players to discuss issues of concern to them, include the latest on the postponement of the World Mind Sports Games. On Friday at 3p, the AGA board of directors convenes its Congress board meeting. All attendees are welcome and encouraged to observe. 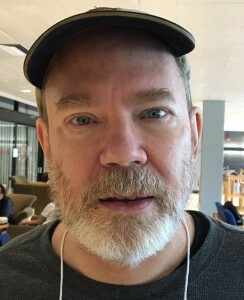 From 4:30 to 5:30p, AGA’s IT man and web admin Steve Colburn will be available to discuss the AGA’s website and Internet presence. Then on Saturday, at 2p, find out what’s involved in hosting a Go Congress in your area. “It’s fun and easy,” promises AGA president Andy Okun. At 3p, the AGA Chapter Assembly — comprised of representatives on the AGA’s chapters — meets. The agenda includes discussion of the chapter rewards program, future Congress hosting ideas, plus next year’s Congress. Demonstrating the continuing fascination with all things AlphaGo, it was standing-room-only on Thursday afternoon at the US Go Congress when Fan Hui 2P presented a detailed commentary on Game Five of the AlphaGo-Lee Sedol match. 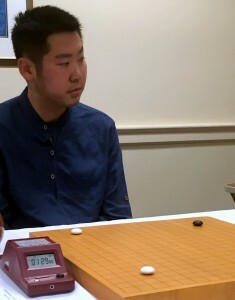 Blending his trademark self-deprecating humor and intense commitment to the game, Fan — who was the first pro to play AlphaGo in October 2015 — illustrated some of the key parts of the game with ideas and comments he’s gleaned from reviews with many other professionals including Gu Li 9P, as well as AlphaGo’s own estimates of where Lee Sedol should have played. 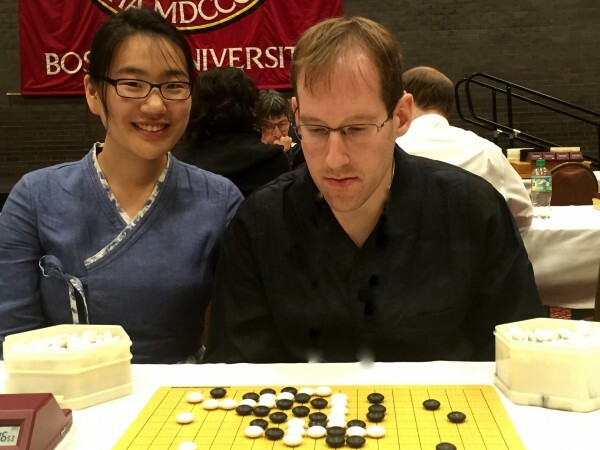 Although many of the proposed moves were not terribly sure in Fan’s estimate, he joked that “One thing for sure is that AlphaGo thinks it’s good for white, so I think so too,” drawing a laugh from the audience. In a brief presentation before the lecture, American Go E-Journal Managing Editor Chris Garlock and AGA president Andy Okun made both Fan and AlphaGo programmer Aja Huang honorary members of the E-Journal team “in appreciation for your incredible work publicizing go to a global audience,” presenting them with E-Journal caps. 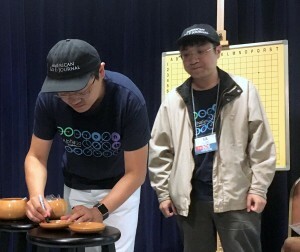 They — along with Garlock — were also given letters by the Empty Sky Go Club’s Steve Colburn from members of go clubs in Upstate New York thanking the entire AlphaGo team for making go “worldwide headline news” and “breaking a barrier that has not been seen in the world of go until now.” Huang and Fan then signed the lids of two go bowls that will be auctioned off at the Congress closing night banquet to benefit the American Go Foundation.